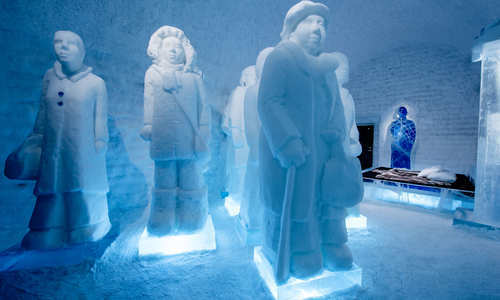 From heated glass igloos under the Northern Lights to hotels carved of ice nestled among boreal forests, Lapland provides an enchanting stage for some of Scandinavia and the Nordics' most innovative accommodation. 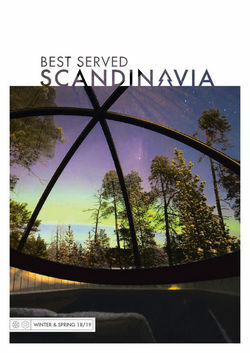 Take a look below to find out more about Lapland's very best hotels. 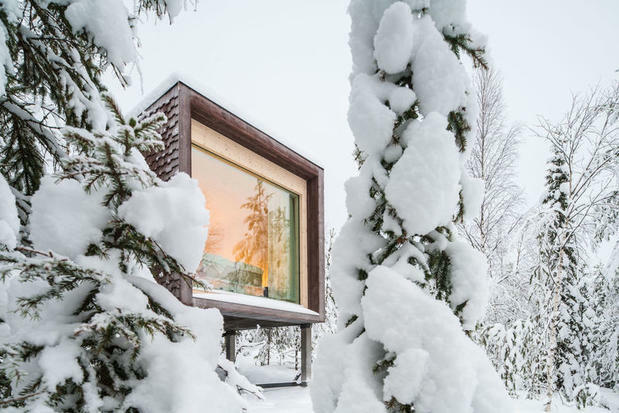 This glass-fronted hotel combines cutting-edge Scandi design with cosy, snowy forest views. After meals in the excellent Rakas restaurant – where the likes of forest mushroom tartare and wild reindeer are on the menu – snuggle down among fur-draped sofas, blonde-wood panelling and log burning stoves before turning your attention to the floor-to-ceiling windows for, more often than not, a premium view of the auroras. 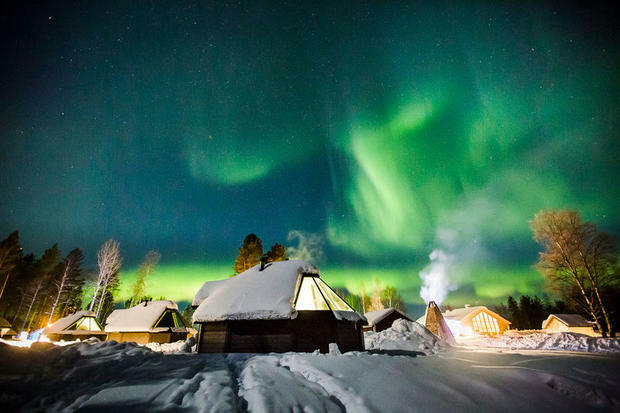 While you’re just moments from the world-famous SantaPark, there's also the chance to embark on the likes of husky safaris and even private candlelit dinners. 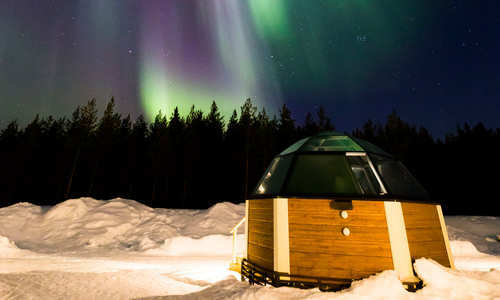 At Apukka Resort there are a whole host of options for winter adventure, from ice cabins and aurora domes to mobile luxury wagons, perched in a secluded corner of Finnish Lapland. The Aurora Wagons are arguably the most impressive option – they’re movable to anywhere from frozen lakes to snowy hilltops. 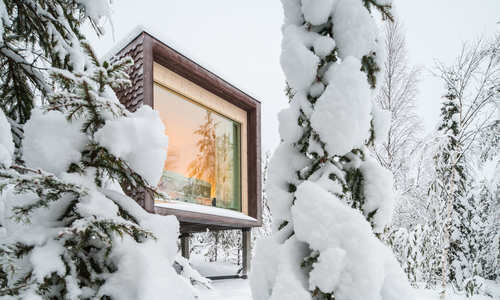 Come daytime, children will love the horse-drawn sleigh rides and ice village, though all can enjoy the most impressive feature – the innovative sauna on skis. 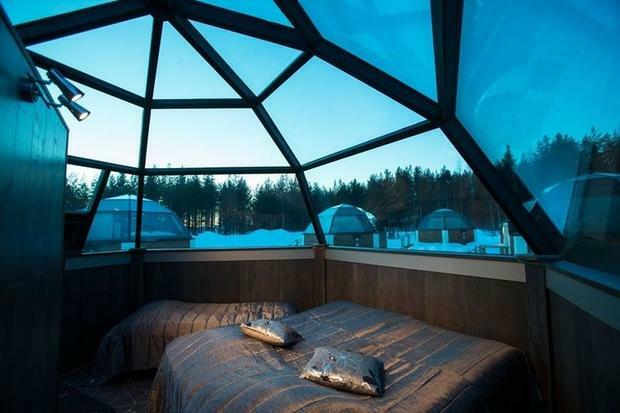 Nestled deep in Finnish Lapland’s frozen forests, this hotel perfectly combines two of Scandinavia’s icons – glass-domed igloos and a snow hotel. 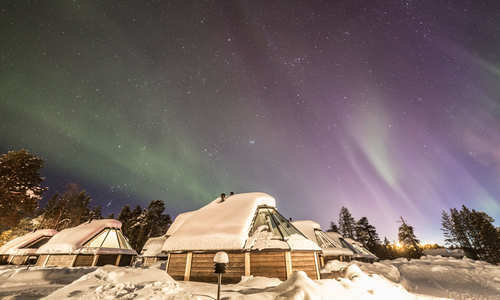 Nights spent under heated glass roofs or intricately-carved ice rooms are preceded with gourmet meals at the lakeside Kota Restaurant, before soaks in the outdoor Jacuzzi or the hot steam-and-ice contrast of the Snow Sauna round off the night nicely. 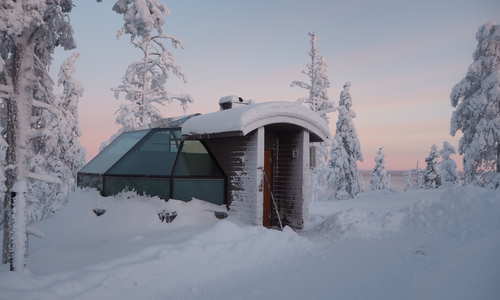 Levin Iglut is one of Finland’s most esteemed glass igloo resorts. 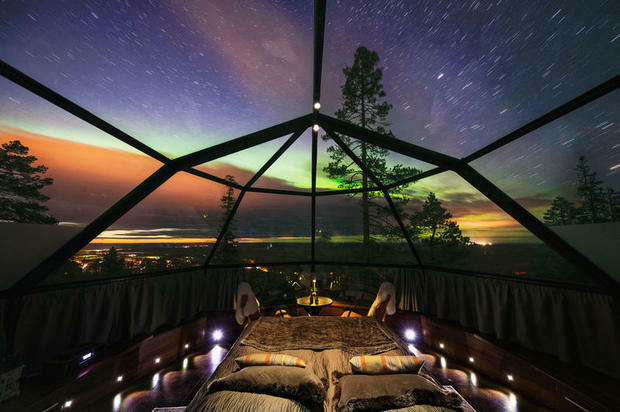 Made up of a scattering of stylish heated domes perched overlooking the snow-covered boreal forests, Levin Iglut offers – with luck – nonstop views of the psychedelic aurora from your motorised bed. It’s all done alongside everything from skiing and snowshoeing to reindeer rides and dogsledding during the beautiful daylight hours. Spectacular views over remote Lake Inari are the main draw here, and accommodation ranges from innovative aurora domes to cosy log cabins. Spend days enjoying thrilling winter adventures such as ice-fishing excursions, husky dogsledding and cross-country skiing before indulging in seasonal menus taken alongside panoramic lake views. 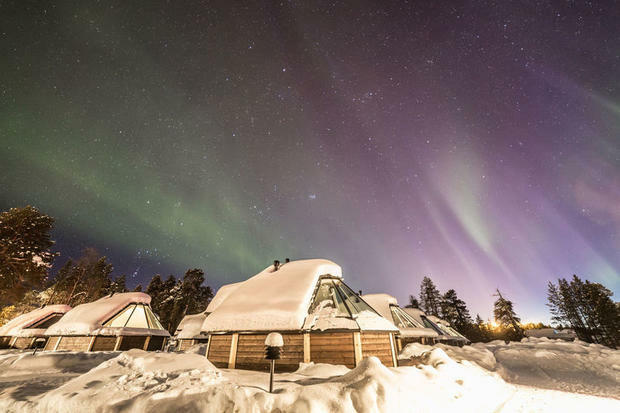 It's all culminated with sessions in your en-suite sauna and, hopefully, the ethereal sweeps of the Northern Lights – you could even head out on a thrilling snowmobile or snowshoeing trip to spot them. 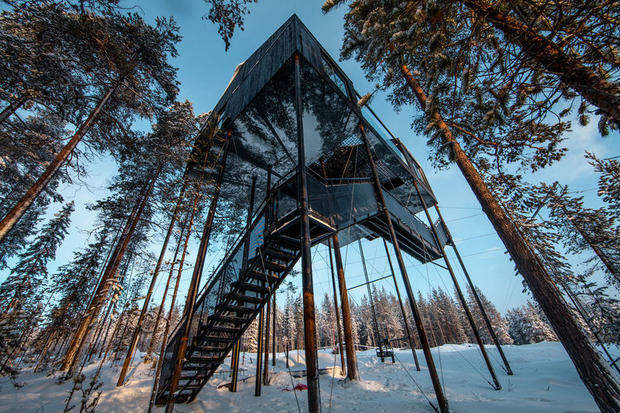 Perched among the boreal forest treetops of Swedish Lapland, just 60km south of the Arctic Circle, this hotel is a perfect example of Scandi innovation and is unlike any other on Earth. 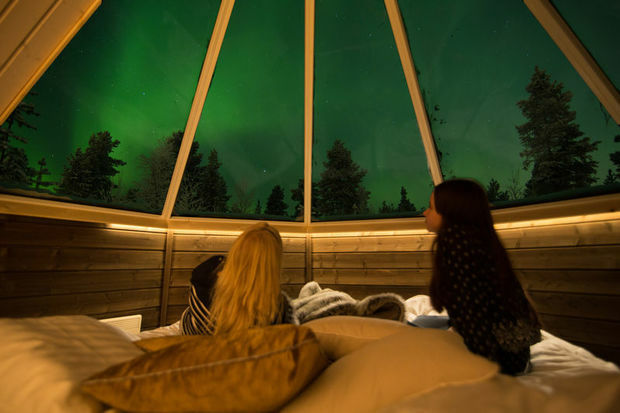 From the Giant Bird Nest and futuristic UFO to the ultra-contemporary 7th Room, each treehouse boasts underfloor heating and all guests are invited to use the wonderfully innovative Tree Sauna. 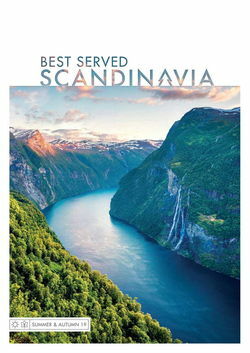 Come evening, cosy Brittas Restaurant serves the likes of Arctic char, Caviar of Kalix salmon, moose and reindeer – the perfect fuel after a day spent dog sledding and skiing or, come summer, trekking and fishing under the midnight sun. 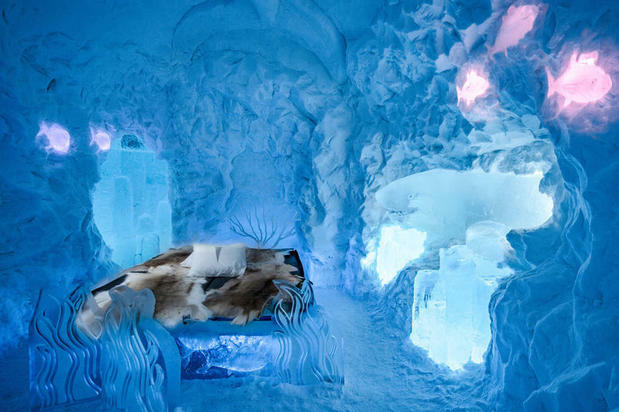 For a truly unique stay, it's hard to find a hotel as incredible as Swedish Lapland's ICEHOTEL, created from ice blocks sourced from the frozen River Torne. After a drink at the 45-foot ICEBAR, guests bunk down at -5°C, kept warm with thermal sleeping bags and reindeer skins before waking to a glass of hot lingonberry and a warming sauna. It’s all enhanced by endless winter adventure, from snowmobiling and reindeer safaris to Northern Lights hunts and husky tours. 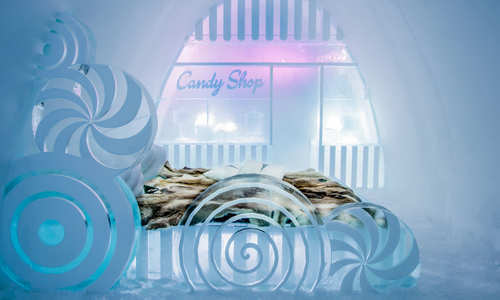 There’s even the chance to stay here during the summer with the introduction of the revolutionary ICEHOTEL 365, kept cool using solar-powered technology, alongside summer activities like biking and hiking.